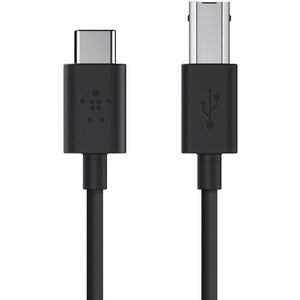 The Belkin USB-C to USB-B Printer Cable allows you to connect your USB-C enabled device to USB-B devices such as legacy printers. Plus, the cable also supports up to 3 Amps of power output for charging USB-B devices. Made for: Connecting a USB-C enabled device to USB-B 2.0 devices such as printers and hard drives.